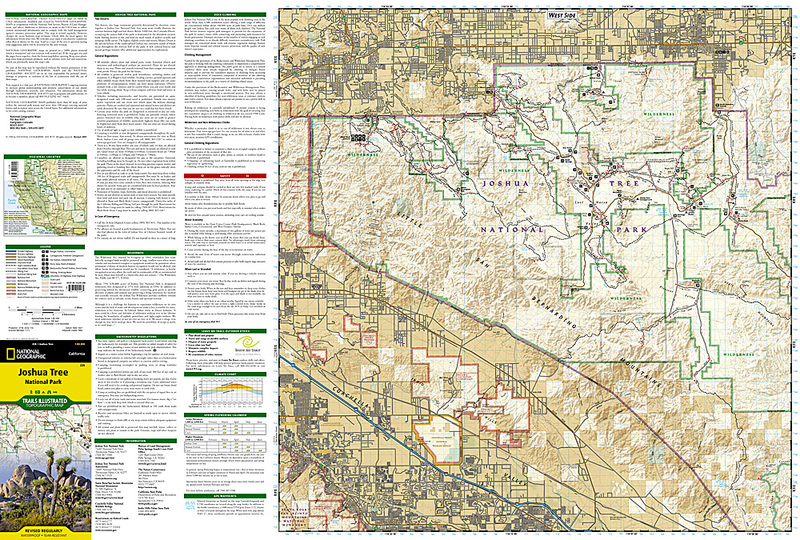 Joshua Tree National Park Map [ti226] - $10.95 : Trail Explorers Outpost, Keeping the Adventure Alive! This Trails Illustrated topographic map for Joshua Tree National Park and the surrounding area in California is the perfect recreational map for this fascinating land of surreal geologic features shaped by strong winds, unpredictable torrents of rain, and climatic extremes. 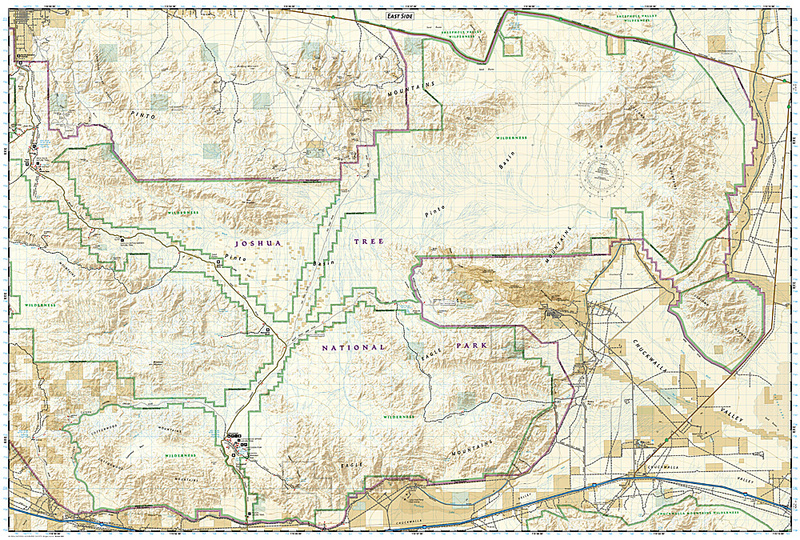 The map includes Joshua Tree National Park in its entirety, the Little San Bernardino Mountains, Nexie Mountains, Lost Horse Valley, Quail Springs Historic Trail, Black Rock Canyon, Hidden Valley, Pinto Basin, Chuckwalla Valley, Cottonwood Mountains, Pinto Mountains, Cottonwood Spring Nature Trail, and more. The trails have been enhanced and road and trail mileage have been added for additional accuracy. Includes UTM grids for use with your GPS unit.